As London Fashion Week Spring 2018 draws to a grand conclusion today, we find ourselves admiring the numerous stunning beauty looks from the London runways. From thickly defined eyeliner to glamorous vivid lips, look no further than these hair and makeup statements as spotted on the LFW catwalks. 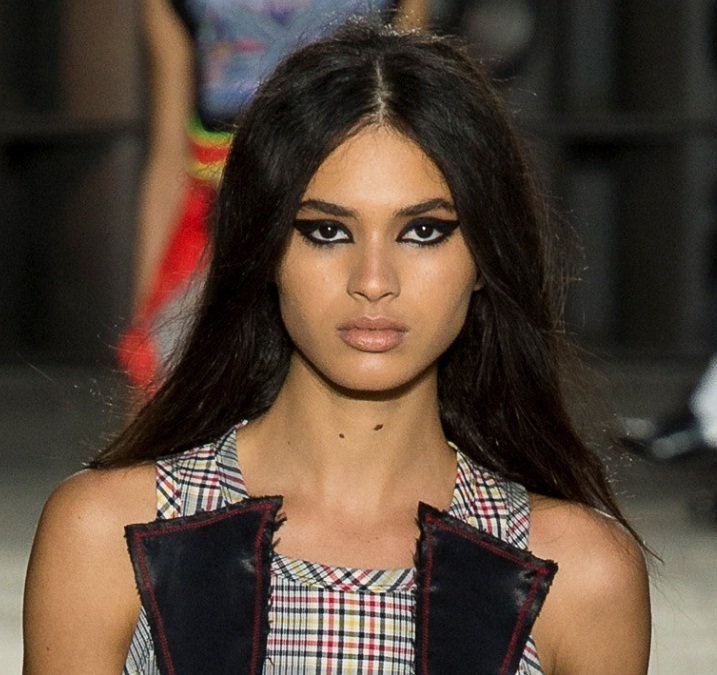 At Versus Versace, models strut the runway with a fierce look in their eyes, and eyeliner to match. The look of dark and smouldering eye makeup set the stage, with extreme black liner applied both on the upper and lower eyelids. Along with voluminous lashes and neutral lips, this look allowed eye makeup to steal centre stage. House of Holland played up the idea of colour, with powder blue eyeshadow causing a major sensation. 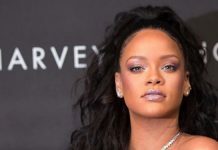 Although upper and lower eyelids were accented with this punchy pastel shadow, the rest of the eye makeup involved minimal eyeliner or mascara. For anyone looking for 1980s inspiration in the form of over-the-top makeup, this look certainly set the mood. Classic beauty seemed to be the mood at Temperley London, where glowing skin, luminous foundation and orange red lipstick created a timeless effect. Models braved the runway without garish eye makeup or outrageous lashes, and let their lips do all the talking instead. 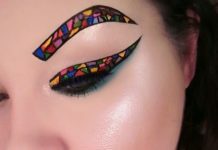 Stained Glass Makeup- Is This New Trend Stylish Or Just Strange? Linda Grandia from the reality TV Show I Am Multiverse at the Hard Rock Hotel & Casino Punta Cana posing for photos with Celebrity couple Ice-T & Coco. All images are © copyright of their respective owners. This Project hosts the images with no aim of self ownership. All the images and other shared-licence property will be displayed without customized watermarks or hidden advertising links and they should not be used for commercial purpose. All the data belongs to their respective source owners.